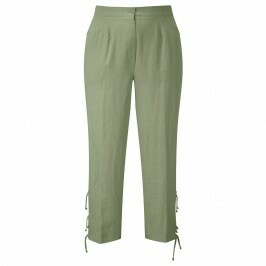 In a flattering shape with interesting tie detailing at the hem these Chalou trousers are a great addition to your summer wardrobe. Team with the matching linen jacket, a white Tshirt and wooden jewellery for a polished holiday look. Black linen crop trousers. 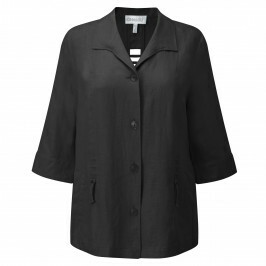 Elasticated waist, front zip and button fastening. 100% Linen. Delicate Machine Wash.